The lazy days of summer are officially over, which means we may not always have the time or energy to go out and get our essential dose of Bollywood. But the good news is that it’s getting easier and easier to catch Bollywood flicks online, without ever needing to leave our computer desks. YouTube’s movie rental sector is in full swing, and with a special section devoted to Indian Cinema, Bolly-goers can instantly satisfy their craving for Bollywood with a simple click. With movies available either for free or for a small fee, YouTube’s selection of Bollywood films is a delightful mix of the old and new, as well as the obscure and famous. In fact, if you weren’t able to catch the October 14th release, Mujhse Fraaandship Karoge, you can rent it on YouTube for a mere $3.99 USD. Catch another recent release, Bheja Fry 2, for only $1.99 USD. Slightly older hits such as Band Baaja Baraat, Dil Bole Hadippa!, Rab Ne Bana Di Jodi, or Dostana are also available for a nominal fee. On the other hand, if you’re in the mood for some classic Hindi films, YouTube has much to offer there as well. Check out the now 16 year old Dilwale Dulhania Le Jaayenge or Amitabh Bachchan’s 1981 hit Silsila each for $3.99 USD. Older classics such as 1965’s Guide or 1971’s Caravan can be rented for only $0.99 USD. While renting movies for a small price is extremely convenient, the most attractive aspect of YouTube’s movie streaming sector is its collection of free movies. Well-known flicks like Action Replayy and Dhamaal are available to stream for free. Or you can always stroll down the lanes of Bollystalgia and watch classics like Pardes or Hum Aapke Hai Koun…! free of charge. An offering of free movies gives the viewer the freedom to experiment, with nothing to lose. Why not check out some more obscure flicks like Gul Panag’s Turning 30!!! or the sports film, Cycle Kick? With an ample selection of free movies, viewers have the chance to expand their Bollywood repertoire and pay attention to some smaller, more experimental films. YouTube’s selection of Indian Cinema doesn’t stop at Hindi language films. Also offered are an array of movies in Tamil, Telegu, Bengali, Gujarati, Punjabi, Malyalam, Marathi, and Kannada. 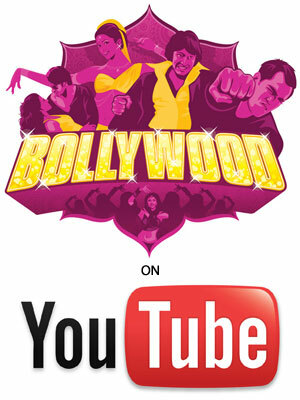 Check out the Indian Cinema section of YouTube Movies to experience everything the site has to offer. New movies are introduced often, so you’ll never be left unentertained!